World Sea Turtle Day was just last week and the sea turtle team at Osa Conservation was super excited. Why? Because to us, it is not just a day, but a day in which we hope the whole world can remember and think about, even if just for a moment, these amazing animals. Sea turtles are one of the most ancient animals alive. They belong to the family Quelonidae, which also encompasses terrestrial turtles. One interesting fact about sea turtles, is that unlike the terrestrial turtles, they cannot hide their bodies inside their shells. Currently, there are seven sea turtle species swimming in the seas and oceans. 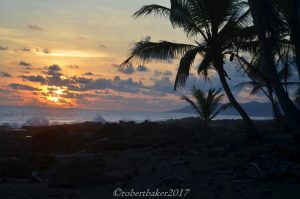 Costa Rica is home to four of these species including: the Olive ridley, the Pacific Green turtle, the Hawksbill and the Leatherback. 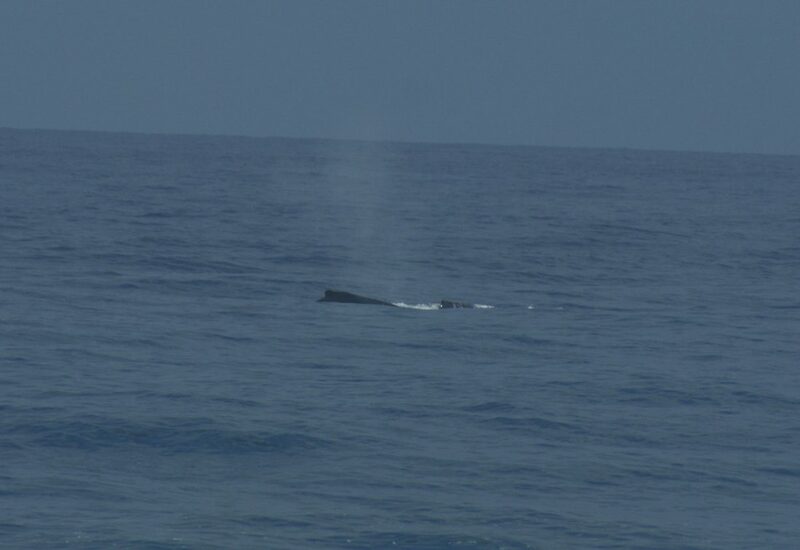 All four of them can be found in the Osa Peninsula! All sea turtle species are considered highly endangered. 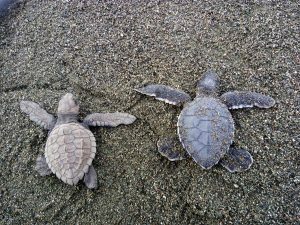 Here in Osa Conservation, we are conserving and protecting sea turtles to make a change. How do we do it? 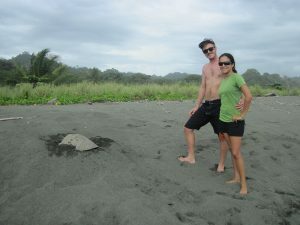 We patrol two beaches every day, looking for turtle tracks. If we find a nest, we move it to the hatchery in order to protect it. 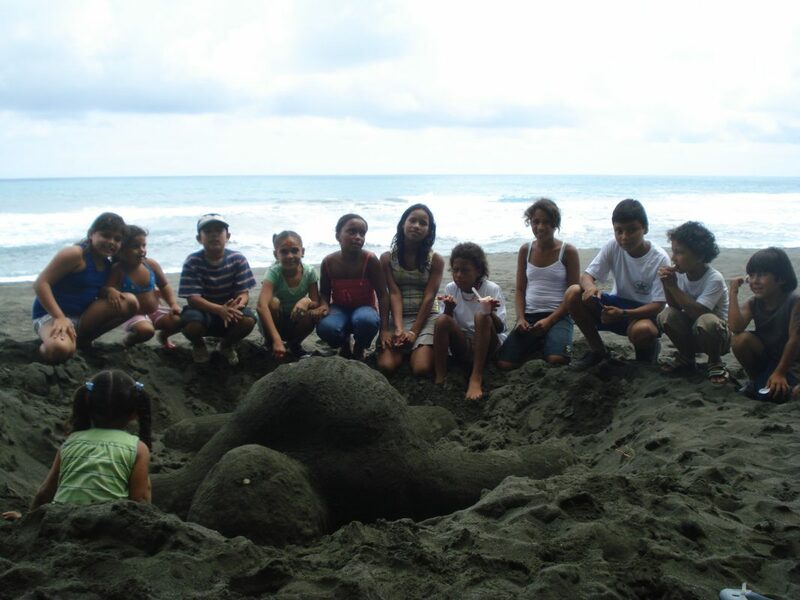 Thanks to the hatchery we can control the nests and study them to improve the success of the hatchlings. For example, one of the things we control is the temperature of the nests. Why? 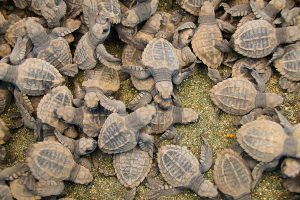 The sea turtles are reptiles and therefore the temperature surrounding the nest determines gender. 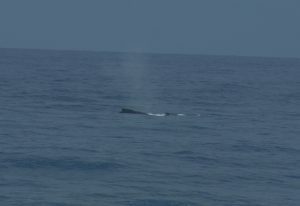 Females are born on high temperatures and males on low temperatures. Unfortunately, the temperatures have increased in the past few years due to climate change, and so, more females are being born than males. Do not throw any trash into the ocean. Clean the beaches as you walk and close to where you spend time. Use reusable fabric bags instead of plastic bags. 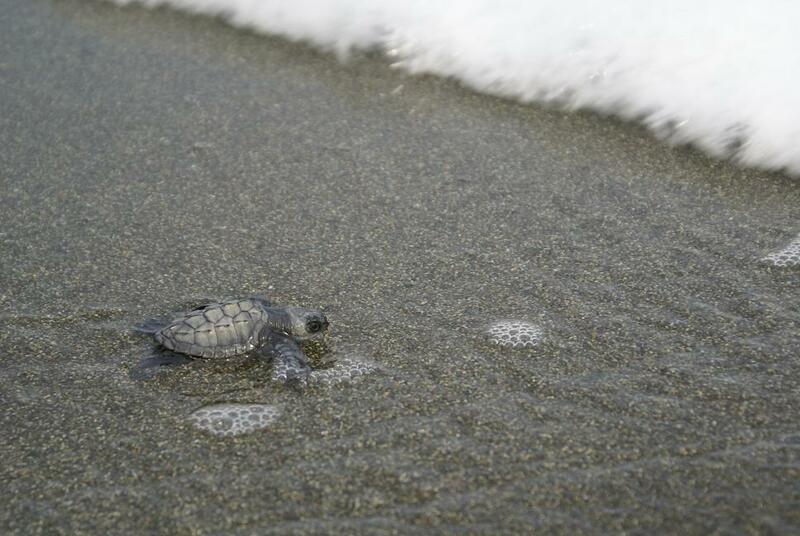 IT DOESN’T HAVE TO BE SEA TURTLE DAY FOR YOU TO HELP THE TURTLES. YOU CAN MAKE CHANGE HAPPEN! This year we started our Sea Turtle Conservation Program with a great challenge, to expand our project to the beaches of Rio Oro and Carate on the southern side of the Osa Peninsula. 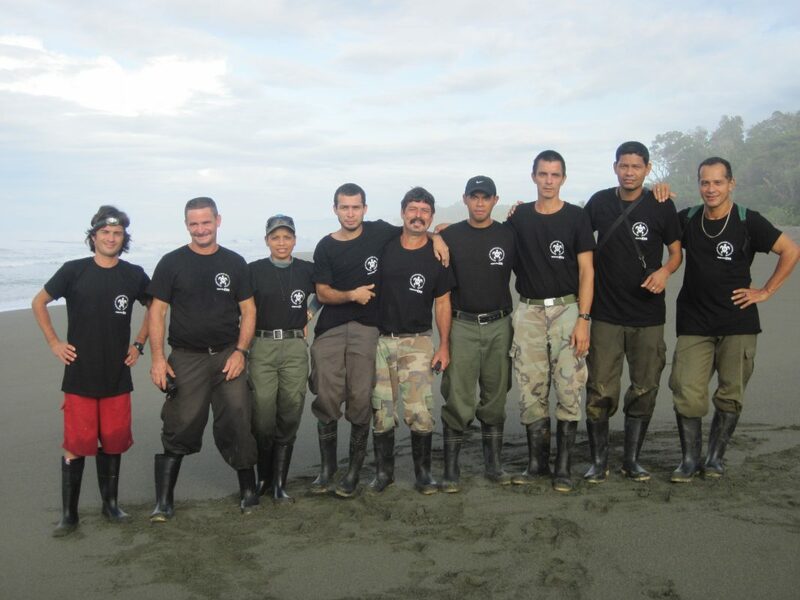 With an excellent group of Field Coordinators (Geri Cubero, Erick Gomez and Greivin Barroso) and Research Field Assistants (Phoebe Edge, Heidi Montez, Courtney Thomas and Carlos Garcia), under the direction of Manuel Sanchez and Guido Saborio, we have taken the challenge with great enthusiasm. 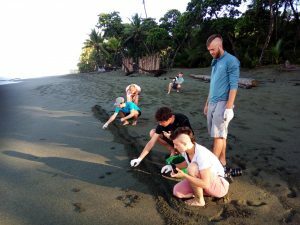 We also have help from Frontier, a volunteer program based in England with whom we have a working agreement that allows these volunteers to participate in Friends of the Osa’s various research projects. 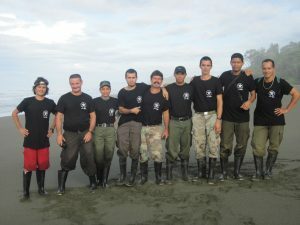 It has not been an easy job, because even with the help of volunteers, we are few people to monitor over 18 km of beach. 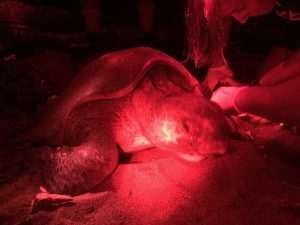 However, the commitment and effort of all participants has allowed us to record a good number of sea turtle visits to the beaches from Piro to Carate in July, the first month of the season. 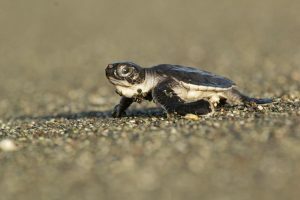 Without adjusting for people-hours on each beach, Pejeperro beach was the most visited by Olive Ridley turtles (Lepidochelys olivacea) during July. 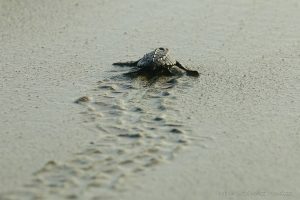 On all the beaches we see the false crawls were the most reported, which could indicate that turtles are making their first expeditions to choose their nesting sites (Fig 1). 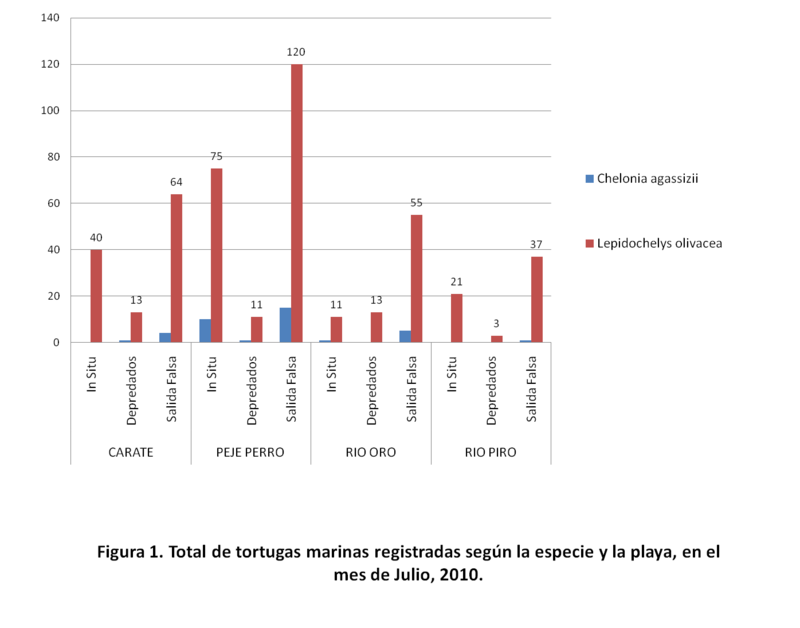 Although we do not have many reports of East Pacific Greens, or black turtles (Chelonia mydas agassizii), from what we do have, most records are from Pejeperro beach (Fig 1). 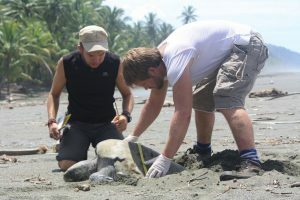 Unfortunately 39% of depredated nests found in our monitoring is due to egg poaching by humans.To prevent this situation from getting worse during the rest of the season, we will need the support of local people, MINAE (the government authority in charge of enforcing conservation laws), and you. 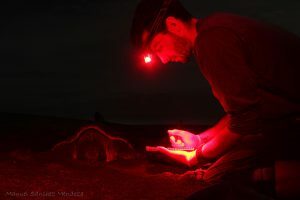 If you’re asking yourself, “How can I help?” here are several ways: 1) Let others know about our Sea Turtle Conservation Program and the importance of protecting sea turtles, 2) Sign up to volunteer and 3) Make a donation to allow us to continue our sea turtle conservation efforts in the southern Osa Peninsula.